Fabric window treatments can dress up any room. 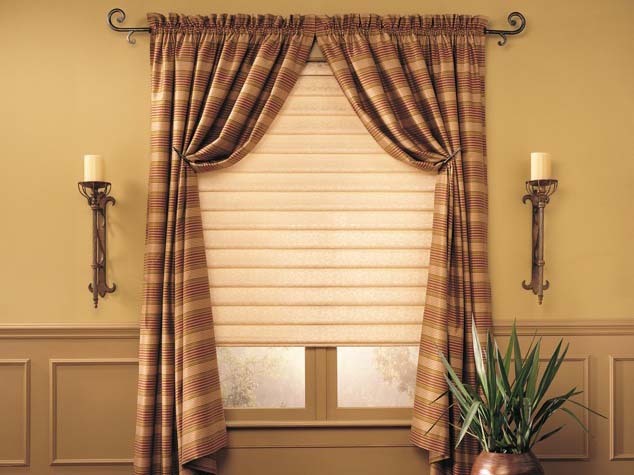 Combine custom drapery with the perfect drapery hardware, and your windows become a work of art. At Treasure Coast Window Fashions serving the West Palm Beach area, we offer custom drapery and a large selection of drapery hardware. Our experienced designers and seamstresses will work with you to achieve a beautiful fabric window covering for any room in your home. We offer a collaborative style of service that centers around your style preferences and functionality needs. What do you want to achieve with your drapery? Drapery is sometimes strictly for visual appeal, but it can serve a purpose as well, such as filtering sunlight, blocking light, providing privacy, and improving energy efficiency. Figuring out the function of your drapery is the first step in the design process. Treasure Coast Window Fashions provides custom window treatments, blinds, shutters, drapery, motorizationa and motorized shades and blinds to residents not only in Stuart but also Jensen Beach, Delray Beach, Ft Pierce, Hobe Sound, Indiantown, Jupiter, Lake Worth, North Palm Beach, Palm Beach, FL, Palm City, Port Saint Lucie, Vero Beach, West Palm Beach, FL.